The celebrated, revolutionary novel from a pioneering Egyptian writer Tawfiq al-Hakim, now for the first time in Penguin Classics with a foreword by Egyptian writer Alaa Al-Aswany First published in Arabic in 1933, Egyptian playwright and novelist Tawfiq Al-Hakim's Return of the Spirit follows a patriotic young Egyptian and his extended family as they grapple with the events leading up to the 1919 Egyptian revolution. 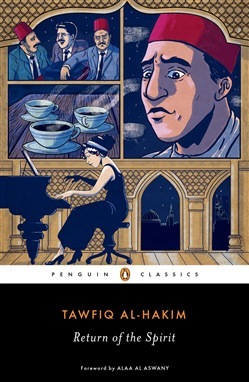 Though often cited as an apprenticeship novel in the vein of Joyce's A Portrait of the Artist as a Young Man with a touch of failed romance a la Goethe's Sorrow of Young Werther, Al-Hakim's classic is most recognized for being a trailblazing political novel that illustrates the way one man's spiritual awakening ties to a political awakening of a nation. While enthusiasm for the book was stifled in the mid-20th century due to a shift in Egyptian government rule, the 2011 Tahrir revolution in Egypt caused it to be examined anew as a strong expression of nationalist solidarity and an exposé of the heritage-stripping power of Western colonialism that resonates with 21st-century Egyptians. 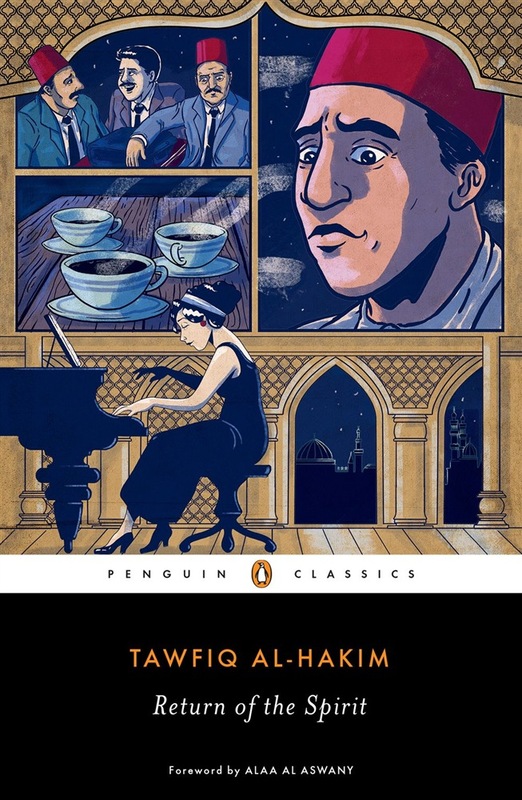 Return of the Spirit is considered Al-Hakim's most important novel despite writing more plays than novels, and his adept understanding of class and culture within Egyptian society has cemented his place as one of the country's most celebrated writers and cultural critics. Acquista Return of the Spirit in Epub: dopo aver letto l’ebook Return of the Spirit di Al-Hakim Tawfiq ti invitiamo a lasciarci una Recensione qui sotto: sarà utile agli utenti che non abbiano ancora letto questo libro e che vogliano avere delle opinioni altrui. L’opinione su di un libro è molto soggettiva e per questo leggere eventuali recensioni negative non ci dovrà frenare dall’acquisto, anzi dovrà spingerci ad acquistare il libro in fretta per poter dire la nostra ed eventualmente smentire quanto commentato da altri, contribuendo ad arricchire più possibile i commenti e dare sempre più spunti di confronto al pubblico online.